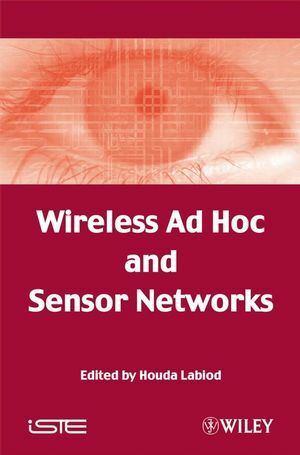 Two new fields have recently appeared: mobile ad hoc networks and sensor networks. The emergence of these very promising systems is mainly due to great technological progress in the field of wireless communication protocols; these will make it possible to offer a broad range of new applications in both civilian and militarian domains. The inherent characteristics of these systems imply new challenges. This book deals with several relevant fields related to the evolution of these spontaneous and self-organized networks. The authors tackle critical problems such as the design of unicast/multicast routing protocols, the support of the quality of service, the security mechanisms for routing and data transmission, the service discovery, the techniques of clustering/self-organization, the mobility of code and the fault-tolerance techniques. The discussion adopts an analysis-oriented approach which aims to cover the current cutting-edge aspects of these fields and to highlight some potential future development, making it essential reading for anyone wishing to gain a better understanding of these exciting new areas. University of Versailles Saint-Quentin-en-Yvelines, France in 1998. From 1999 to 2000, she worked as an assistant researcher at Eurecom Institute in Sophia-Antipolis (France) in the Mobile Communications Unit. Since September 2000, she is an associate professor at ENST (Ecole Nationale Supérieure des Télécommunications) in the INFRES (Computer Science and Network) department. She is an author of a book titled "De Wi-Fi à Bluetooth" (Hermès Editions, 2004). Her main research interests include optimization of mobile and wireless networking and mobile ad hoc networks (unicast routing, multicast routing, security, QoS routing).